*I’ve been meaning to write about this (Stock Android) for a while, ever since Samsung and LG released their next versions of their flagship devices, actually. I’m a sucker for reviews, every morning at around 5 AM, I’m guilty of typing www.youtube.com in my address bar, either on my phone or on my computer, and sifting through the countless reviews on the various new phones that come out. Last week was no different. When Samsung launched the S7, I immediately went to my favorite YouTube personalities, Kevin the Tech Ninja and Marques Brownlee (MKBHD) to see what they had to say about the phones. I watched parts of the keynotes on both phones but also wanted to get their opinions. While I was watching, I couldn’t help but notice that both reviewers mentioned Stock Android in their reviews. Now, if you’re new to this whole Android thing, you wouldn’t know what Stock Android is. Let’s take a few sentences and break that down. 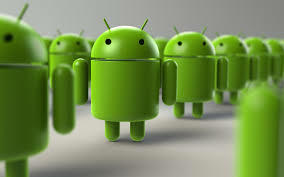 Stock Android is Google’s basic mobile operating system that Google develops to run phones. In the past, Google caught a lot of flack for not offering all the bells and whistles that the iPhone did. (Actually they’ve always offered many of the bells and whistles, Android wasn’t as “user friendly” as Apple competing operating system) And since Google’s Android is open-sourced. (meaning anyone can develop on their platform) Developers quickly created various skins, and functions that improved on what Google created. Phone Makers (manufacturers) such as Samsung, LG, HTC, and Sony also created their own skins that lay on top of Stock Android (overlays) to distinguish them from one another. This is why although you may have an android with the same operating systems (Lollipop), it looks completely different on each phone. Skins such as Samsung TouchWiz and HTC Sense became resource hogs and eventually slowed the processing power down which eventually makes the phones glitchy. Then there was the invention of carrier bloatware. Carrier Bloatware are specific apps that the carriers (Verizon, Sprint, AT&T, and T-Mobile) put on the phones they sell that aren’t removable. A lot of those apps mimic the functionality of what the manufacturers already place on the device and along with the manufacturer’s bloatware, slow down the device. I’ve always been an advocate of a pure stock experience and the only phone series that offers that experience is Google’s Nexus line. This year, Google released two Nexus devices; the Nexus 6p and the Nexus 5x, both stellar devices in their own right, but I love the Nexus 6p because it feels like a premium device. Anyway… back to the subject at hand. Why isn’t Stock Android available on more devices? Aside from Motorola, a company Google used to own, It would seem that one of the phone makers would follow suit with this business model. Darryl Yates ([email protected]) is a contributor to EURweb and various other publications. In addition to chronicling technology via the GoGoGadgetGuy column, he also owns and operates Gadget Guy Consulting. Darryl enjoys educating tech consumers and helping them sync technology with their lives. Previous ArticleConsumer Protection and Choice Act: Friend or Foe?